Twickenham – The Home of Rugby! 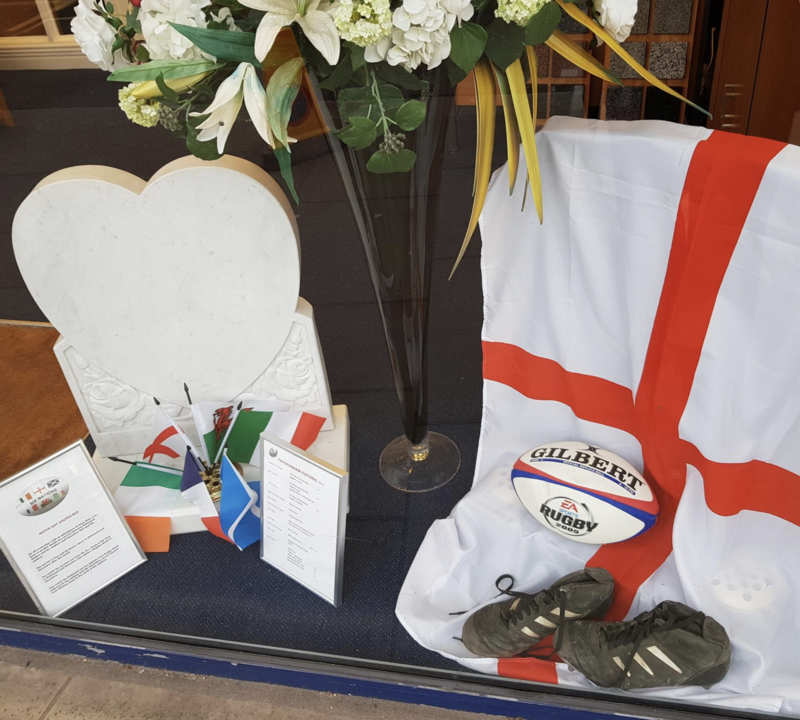 With the Six Nations rugby tournament starting very soon, Twickenham branch arranger Pauline has created a window display with some information to help local people and supporters by providing a fixture list and information on a free shuttle bus service to the games. She has displayed mini flags for each nation but of course the largest had to be for our home team which has a pair of a friend’s boots and a ball laid on. Good luck to all and may the best team win.